Bespoke wooden office furniture that works around your routine. 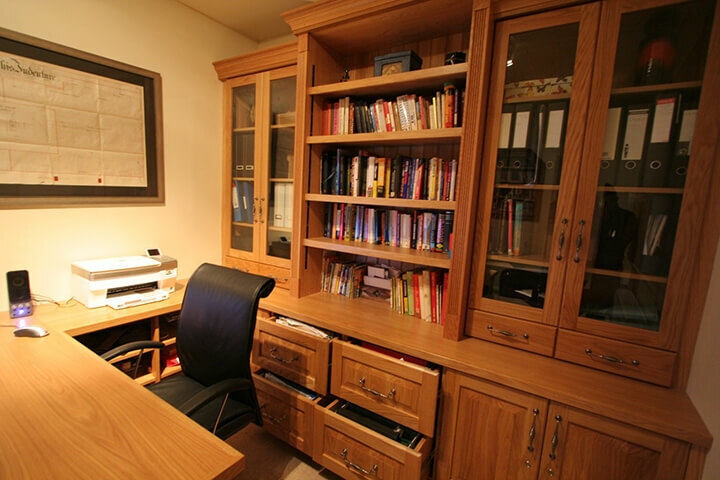 The home office can be an important room- especially for those who work from home or need space to study. 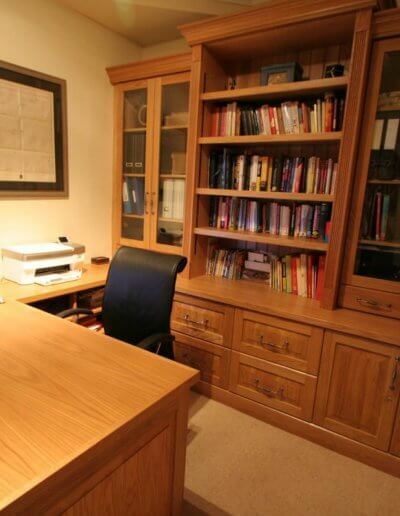 We aim to design bespoke wooden office furniture that works around your routine. 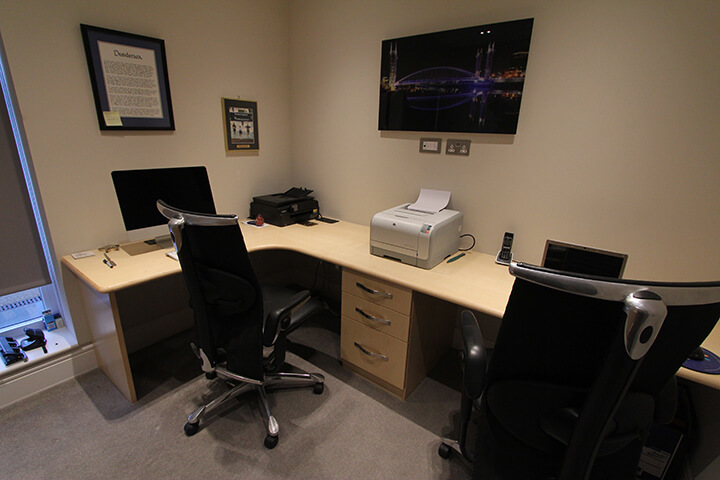 Our flexible approach means that we can create a room that is unique to the way you work. Our previous commissions have included personalised storage solutions that will allow you to organise important files and documents your own way. We also specialise in cleverly designed, bespoke desks. 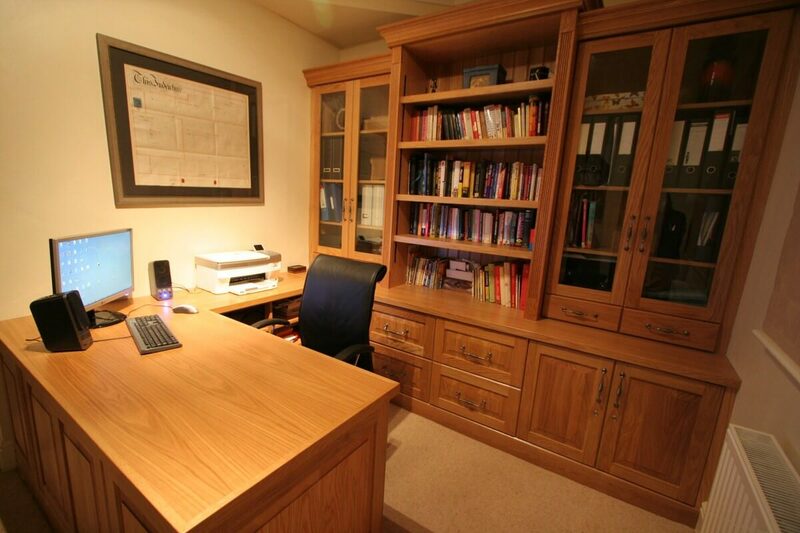 We will work with you to design your home office to your exact requirements. No matter what the size of your space, we want you to make the most out of your home office. Whether it’s a large room dedicated solely to working from home or a desk in the corner of your living room that all the family can use, we understand that the area needs to be functional and comfortable to allow maximum productivity. We can create contemporary fitted study furniture in a range of styles and finishes from desks in light hardwoods like maple to the sharp, clean lines of modern high gloss acrylic. We’ll consult with you at all stages to ensure we have a thorough understanding of your specifications. 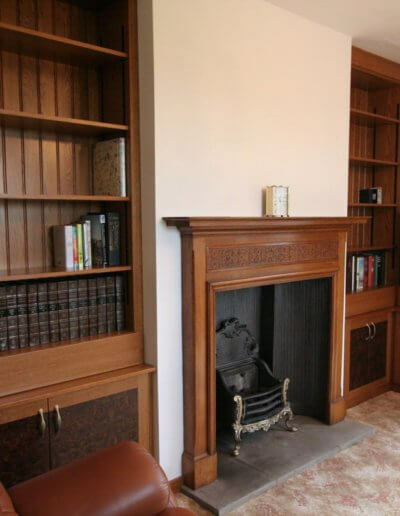 If it’s a more traditional look you’re going for, we can use solid oak to create classic raised and fielded panels, or fluted columns to establish an elegant antique effect. For one of our past projects, we were commissioned to install bespoke fitted study furniture in an 18th century farmhouse. We wanted our work to be in-keeping with the character and charm of the original features that were evident in the rest of the home. 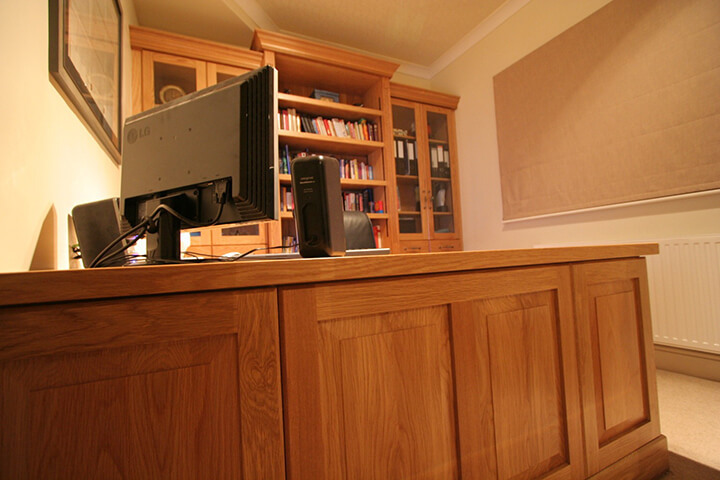 We consequently used distressed oak to create stunning panelled office furniture, patinating the edges to create a truly authentic look that matched the new furniture with the original beams in the room. Whatever your requirements, give us a call today to discuss your bespoke desk and office furnishings. We’d be more than happy to chat with you and add our own professional insights and knowledge to your project. 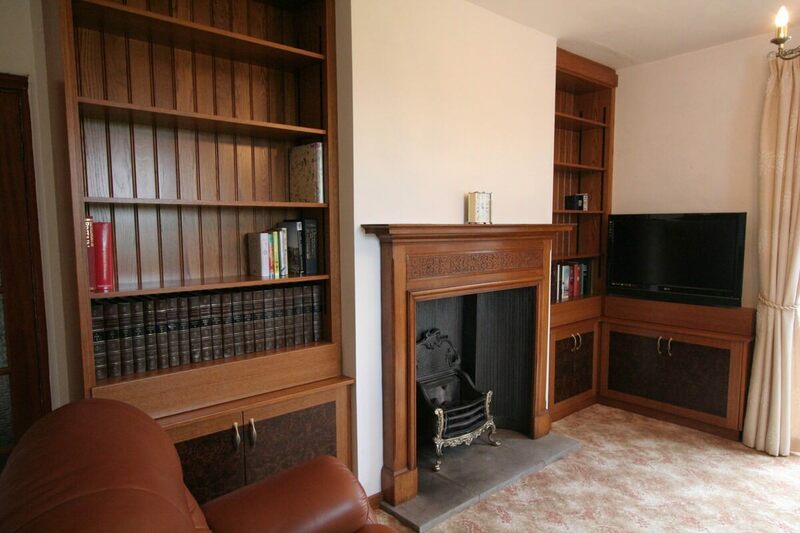 Call 0161 643 4054 and view our bespoke home studies gallery below for inspiration.